With New Order, now you can store in style! 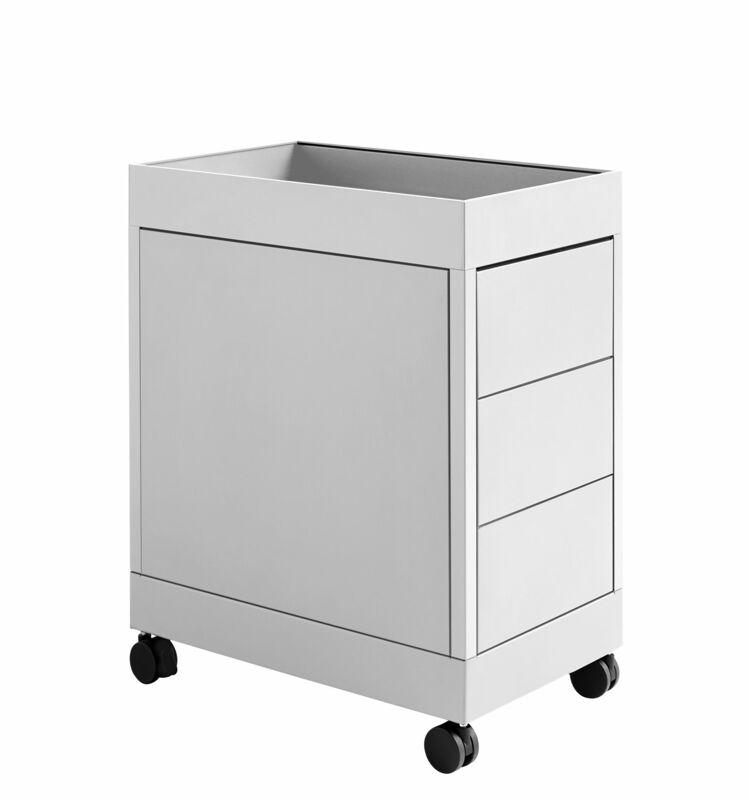 Designed by Stefan Diez, this attractive mobile box with its pure, elegant design is made of lacquered steel. 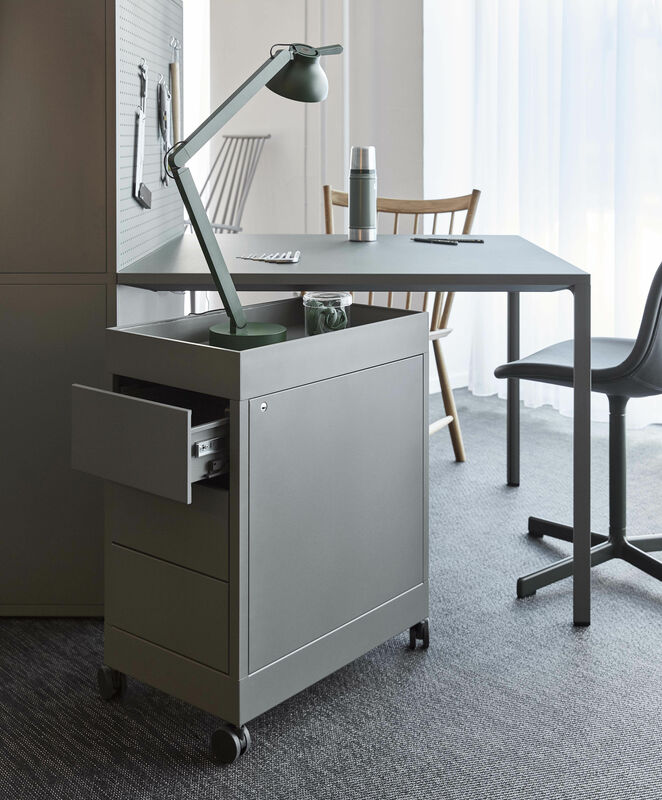 It’s ideal for organising and optimising your storage space. 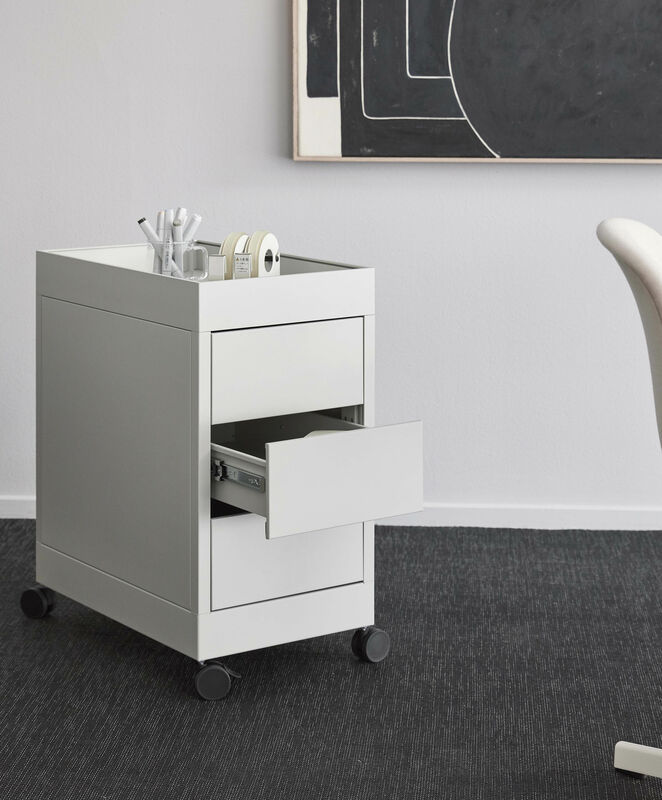 This box on wheels has three drawers with a locking system to store all your small items. 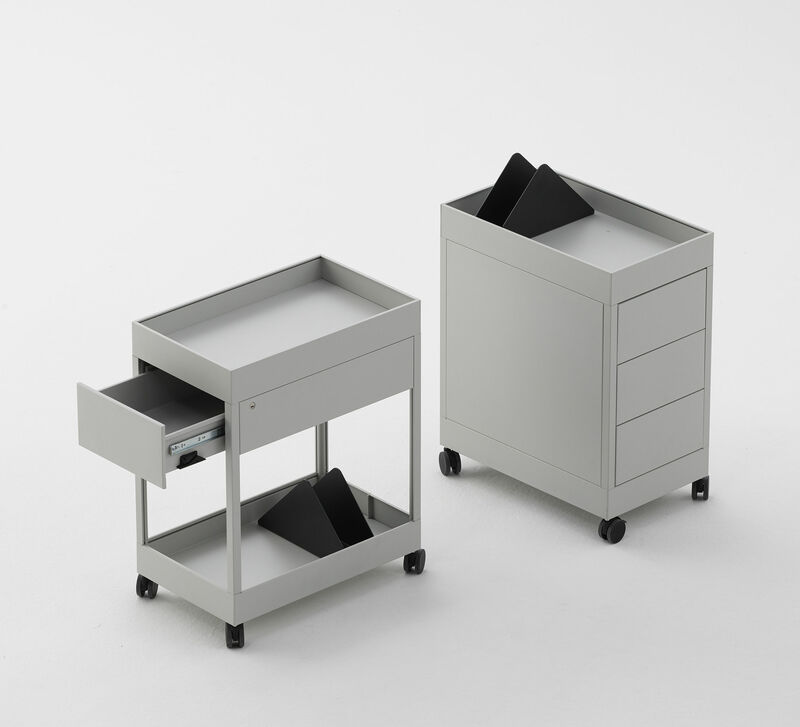 It also has an additional storage box on top to store your belongings that would not fit in a drawer. With its small dimensions (L 34 x W 55 x H 68 cm) and its classic look, New Order can be placed in an office, a bedroom or even a bathroom.